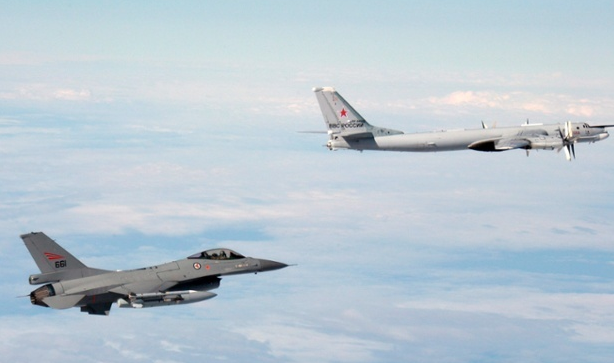 A Norwegian F-16 shadows a Russian air force Tupolev Tu-95 in a photograph released by the Norwegian air force. Over a dozen Russian aircraft were caught flying outside the country’s airspace in three different parts of Europe this week, prompting fears of an impending World War 3. Eight jets were intercepted above the North Sea; seven were intercepted above the Baltic Sea; and four were intercepted above the Black Sea. “These sizable Russian flights represent an unusual level of air activity over European airspace,” NATO said in a statement. The largest contingent was intercepted by Norwegian aircraft, prompting six of the jets to split off and fly back to Russia. But two continued to fly above the Norwegian coastline, prompting NATO planes in the United Kingdom to track them. Those two jets later flew back to Russia, reported ABC. Meanwhile, Russian President Vladimir Putin says that the United States isn’t a threat to Russia. “I did not say that we perceive the United States as a threat. President Obama, as you said, views Russia as a threat. I do not think that the United States is a threat to us. 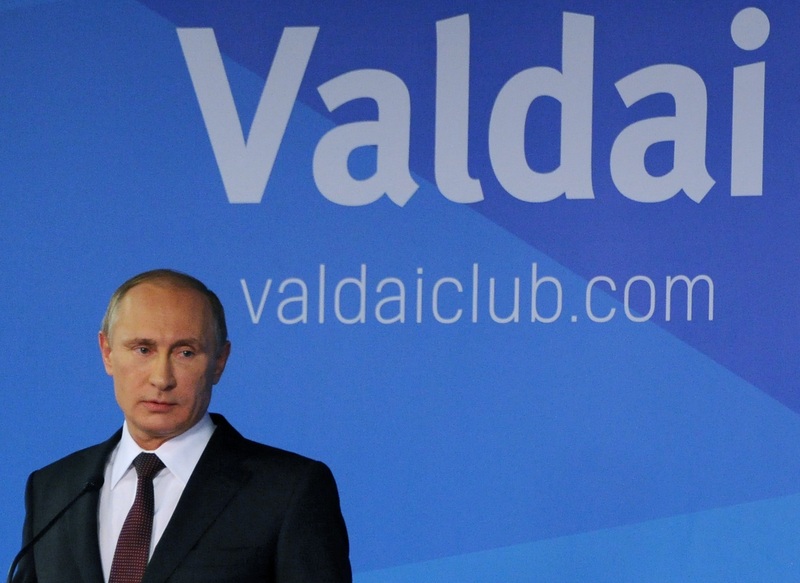 I think that, to use a hackneyed term, the ruling establishment’s policies are misguided,” he said at a recent meeting of the Valdai International Discussion Club. At the same time, Putin sounded hopeful of a resolution. “We will never forget how Russia helped the United States to obtain independence, and we will never forget our cooperation and alliance during World War I and World War II. I think that the American and Russian peoples have many deep strategic interests in common, and it is on these mutual interests that we need to build our foundations,” he said.